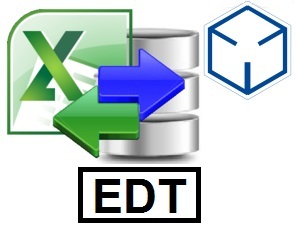 Used by Law firms ..
Excel Database Tasks (EDT) can be used to validate and upload and process data from the content of files or attach entire files to the Partner for Windows database. In particular EDT is designed to create tasks that integrate nicely with stored procedures for example loading account slip information by batch. or generally any other data source. One very useful fact is that EDT validates the data before it is finally sent, integrating easily with the Validation also included with Tikit's procedure spInsertPostingSlip. Data can also be sent to other P4W procedures, such as sp_CreateEntity, or sp_CreateMatter, or your own custom procedure. In addition data can be sent to certain tables, containing budget information for example. The key benefit of using EDT for such jobs is the built in Data Validation that EDT provides, along with the ability to add any number of additional validation rules you may require. EDT also happens to be a great Reporting and Data maintenance tool too ! If you would like some help with EDT, no problem, just drop us an email at support@LeanSoftware.net or Contact Us online. EDT has provided a significant productivity and quality boost for CommerceHub in maintaining its specification library. Our requirement was to import an existing set of company records (an Excel worksheet of ~4000 rows and ~200 columns) into a relational structure in SQL Server 2012. The detailed written directions and screenshots that Lean Software has provided to me whilst developing this system have been invaluable in showing how to utilise EDT for this task. Lean Software have gone a bit beyond the call of duty frankly, having created examples of SQL stored procedures specifically for our situation based on data sets I provided, as well as creating a series of EDT Tasks demonstrating how to utilise the stored procedure for initial uploading and for data maintenance. Several new builds of EDT have been needed in order to address minor bugs that were found in the process, all of which were resolved quickly and without drama. The timely responses and general support that has been provided by Lean Software have been second to none. I was looking for a solution for an actuary who does alot of data processing in Excel. EDT has proved to be a great tool to import the Excel data into SQL server One of the many features I found useful is the ability to specify Excel formula (R1C1 style) for the columns which has saved me days of development work! 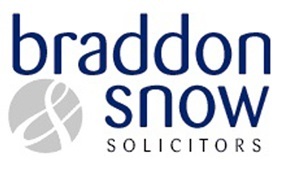 The on-line help is very good but I've also contacted Lean on a few occasions now and their help/assistance has been 1st class. Great product which will no doubt come in handy for other development work in the future. I was comparing this to Oracle SQL Developer or Toad for Lookup Table Maintenance and having to write a User Interface to do the same. Support from Lean Software was excellent I am not sure If I get any thing better from Lean Software compared to the other two products; but beats having to develop a UI for each Table. Certainly Ken this is quite possible with EDT. We have emailed a solution to you using a stored procedure as the task destination. I wish to reverse the EDT process after an initial CSV to Sql Server load. Do you create XLS from Dbase...if not suggestion? Use Case> Have a TBL of Co info, Name , Workgroup etc. and a TBL of ee info, Name, Id Number, Workgroup Date of Hire ,Pay rate etc. Step 1: Produce a BLANK XLS for the USER that has the correct columns and 'validation values' for a column as a drop down such as "FT", "PT" " XLS Template has VBA to validate the data.. Step 2: USER completes the XLS as created in step 1. Step 3. USER hits "VALIDATE" button and the XLS VBA validates and throws the errors..if any. Step 4. USER hits "SUBMIT" BUtton and XLS is uploaded to a RAW table, that is then populated to individual tables via stored procedure. Steps repeat Step1, now produced XLS with data created in steps 2-4 Thnaks..I like your product for CSV to SQL...but need a complete solution..